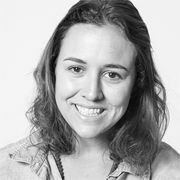 As Creative Director for Saatchi & Saatchi X in Rio de Janeiro, Claudia Niemeyer directs her team in Miami, São Paulo and Buenos Aires. She is responsible for the strategic decision for the startup in Brazil as well as the concept creation for positioning, product launch, and design solutions. She has won numerous awards from IDEA Brasil as well as a Bronze Cannes Lion. Prior to Saatchi & Saatchi X, Niemeyer worked as a Design Project Manager for Ana Couto Branding and Tátil Design as well as acted as the Design Manager for Fivecurrents during the visit of the International Olympic Committee to Rio de Janeiro. She received her Bachelors in Design Visual Communication and an MBA in Business Management. Niemeyer decided to come to the Berlin School of Creative Leadership for what she calls a breakthrough experience for her professional career.